Who's actually being punished here? Netflix's announcement of a full Punisher series definitely caught a lot of folks by surprise. Jon Bernthal's turn at the popular anti-hero was received well enough that a full series seemed like a good idea at the time. As the first Marvel Netflix series in the post-Defenders era, and the first series not included in Marvel's initial plans, The Punisher definitely had enough space to really make an impact outside of the previously set standard. 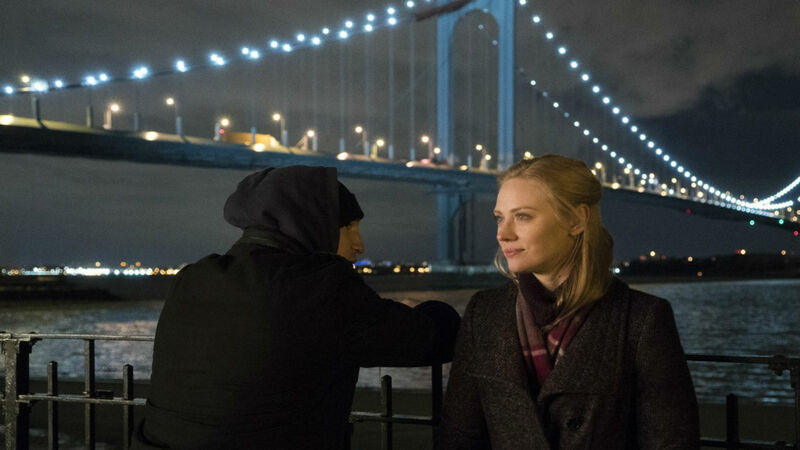 Despite being unlike every other Marvel show on Netflix thus far, The Punisher eventually succumbs to the same issues marring its predecessors. In the fallout of the events of Daredevil, Frank Castle (Jon Bernthal) has taken a new identity and gone into hiding. Still mourning the loss of his family, and occasionally suffering PTSD from his time in the military, he eventually finds himself wrapped up in a conspiracy sprung up by the ghosts of his past. With the help of Micro (Ebon Moss-Bacharach), a mysterious man keeping surveillance of the city, and the hindrance of Federal Agent Madani (Amber Rose Revah), Frank must find and kill the man at the center of it all, Agent Orange (Paul Schulze). Unburdened by the rest of the slate, The Punisher's tone has a stark contrast to what's been shown before. The violence depicted here is far more bleak and pungent, with Frank often brutalizing his enemies. Yet, even with this violence, there's a disconnect when most of the scenes are backed by a rousing popular song. 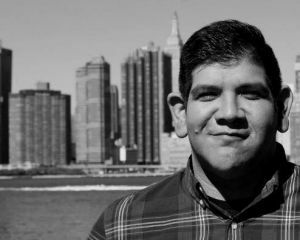 This almost aggrandizes Frank's brutality. That might be an appropriate approach for this particular kind of character, but it's not like this series was produced in a vacuum. It's hard to detach the series from its inherent political messages when dialogue goes out of its way to remind you of its "realistic" approach to modern politics. Perhaps emphasizing a story about someone suffering from PTSD, acquiring a ton of guns, and dealing his own form of "justice" was ill timed? Implicit politics aside, any messages the series may have are muddied by the execution. Unfortunately, like every Marvel show before it, The Punisher overstays its welcome far too quickly. For the first half of its thirteen-episode run, the season doesn't seem to have an endgame. There is an admirable approach at first as the series attempts to focus a season wide arc on introspection and character evolution -- explaining why most of the actual "events" of the series happen internally and without fanfare -- but this approach is thrown out the window when its initial grounded tone clashes with an almost inevitable comic book intrusion. Even then, this could all be forgiven if only the series flowed at a less destructive pace. Again, like the Netflix/Marvel series before it, The Punisher is an exercise in excess. The pace of the season often slows to a crawl, and almost meanders from beat to beat. The delivery seems so off-putting too when you consider the second half of the season's tonal change. It literally goes from 0 to 100 in terms of tension, so that tension feels hollow, because it doesn't feel properly built up. The first half of the season focuses so much on Frank's introspection, that when the outside world comes crumbling down it seems less important since the real character development was all in Frank's head. It's just tough to suddenly care about others when Frank not only gets the majority of the focus, but the better of the season's stories. On the other hand, while the pace can be excruciating at times and the character development is mostly introspective, the fact it accomplishes this at all is something to be celebrated. The slower pace does allow for some great character moments between Frank and Micro (such as the drinking scene, probably the best scene in any of these Marvel shows), and eventually allows Micro to become a fully realized character as the second half of the season gives him a subplot. Jon Bernthal also has the fullest Frank Castle portrayal ever produced. His subdued and quiet performance may not make for a great series to experience, but the solemn and subtle growth he undergoes is expressed wonderfully. 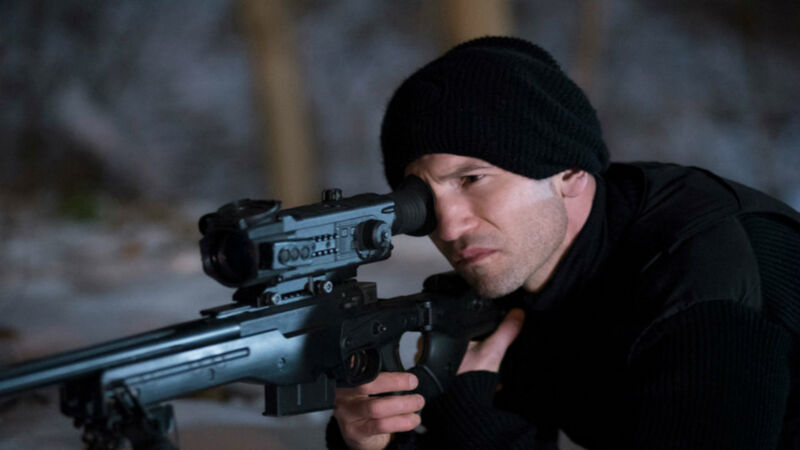 Bringing Bernthal into the fold lends these shows a credibility it had yet to earn, and his performance in this series definitely cements his place in the greater comic book cinematic universe at large. 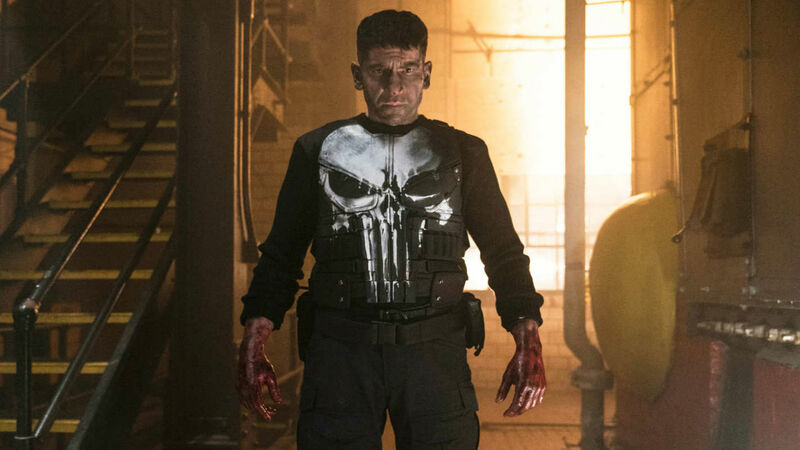 The Punisher is indeed an experimental series, and accomplishes a few things the rest of the Marvel Netflix slate never could get quite right. The series' heightened violence and focus on gunfights meant we avoided yet another hallway fight scene, but in its place there's yet another cackling third act villain, several fantastical elements clashing with the grounded tone (Frank goofily dons the Skull again), and the mismanagement of the season's episodes means the climax seems to happen an episode before the actual finale. Since the brunt of the series' development is on Frank, when he's not on screen you'll find yourself asking "Where's Frank?" That's certainly good news for a show all about him, but it's not good for every other moment in waiting.